Divided Back; Postmarked "Clayton NY, 2 Feb. 1910, 7 am"
"28. 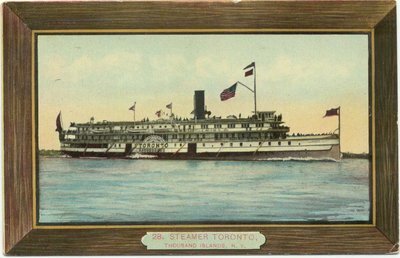 Steamer Toronto, Thousand Islands, N. Y." Reverse: "Publ. by N.W.P. & P. Co., Potsdam, NY"; "Post Card"